After you have acquired an inflatable boat and thinking about choosing a motor. How to determine which boat motor do you need? Make the right choice will help you the following recommendations. Since the choice of motor for inflatable boats play an important role in weight, it makes sense to look at 2-stroke engines - they are a little easier 4-stroke. Besides, if something happens the engine failure it can be repaired by local craftsmen, and not to carry in a specialized workshop. Another advantage of 2-stroke outboard motors - they are easy to transport. The choice of power outboard engine is a very demanding task because the decisions depend on the efficiency and safety of operation. 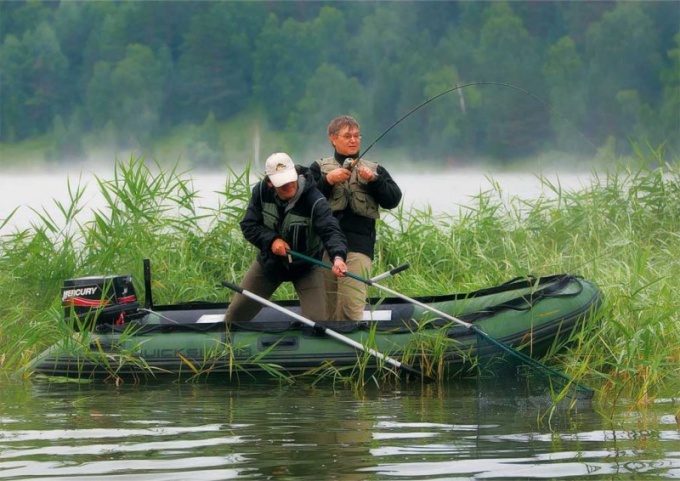 When choosing the engine power for inflatable boats you should consider the length. For example, a motor with a capacity of 15L/s suitable for boats with a length of 3.4 to 3.6 m, 18 l/s for boat length 3.5-3.8 m, Respectively, if the boat is shorter than 3.4 m, the motor to it is better to choose a weaker than 15 l/s. You can calculate the power of the motor for the boat. 1 l/s can pull on plane 30 kg. Hence, we need to estimate the amount of mass of the boat, Luggage, passengers, and then divide the resulting sum by 30. The result is required to release the planing power of the motor. When choosing the power of the engine should decide how many people will be in this boat. If you fish alone, may be enough and a small motor, but if you are fishing for the company went the other, the motor will not be able to bring on plane the boat. Another important reason to take into account the number of people is the weight of the outboard motor. More powerful than he is, the harder it is. Accordingly, to carry it from one machine to the boat and back, as well as independently to install a heavy motor on the transom would be problematic. You should not take the maximum power for the boat, which is specified by the manufacturer: manufacturers sometimes overstate this figure, therefore, to exploit an inflatable boat with this outboard motor is dangerous. In addition, during the operation of too powerful engine there is a risk of damage to the transom, which will have to repair the boat. Choosing a manufacturer of engines for boats, be aware that imported all the parameters are significantly higher than domestic. All imported motors are about equally good, so it shouldn't reflect on the choice of the brand. Although American and Japanese engines in their characteristics a little better than the European, it is not a fundamental difference.